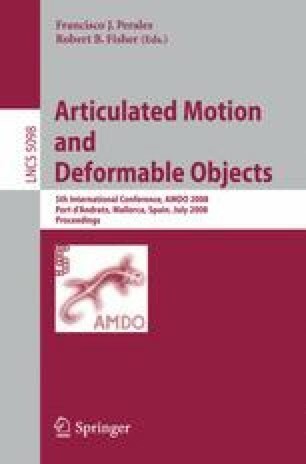 Recently many methods for human articulated body tracking were proposed in the literature. These techniques are often computationally intensive and cannot be used for Human-Computer Interface. We propose in this article a real-time algorithm for upper body tracking with occultation handling. The tracking is based on an articulated body model, also used to automatically initialize the target. After an independent search of the most likely positions of each limb, a dynamic programming algorithm is used to find the best configuration according to the links between limbs. The self-occultations between the limbs are directly taken into account by the tracking algorithm and results show the interest of the proposed approach.